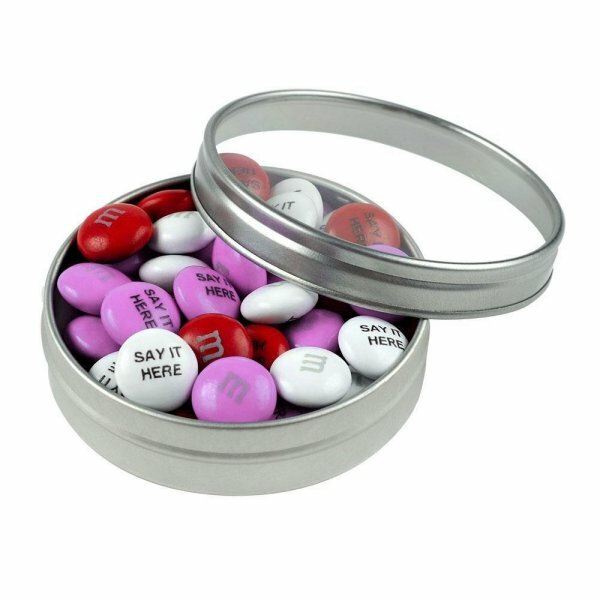 Personalized wedding candy from My M&M'S® allows you to create custom wedding favours that complement your unique wedding style. 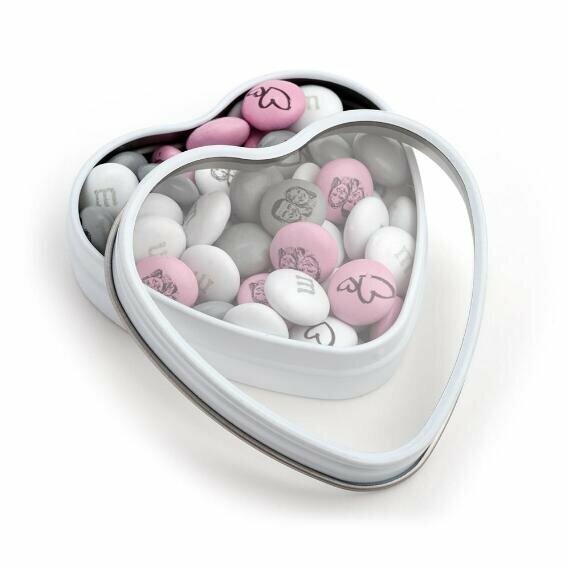 With special messages on the candy and the tin, share a touch of your ‘one in a million’ love with these personalized wedding favours from My M&M'S®. With 25 colors available to mix and blend, you can create a customized wedding candy bar that perfectly matches your wedding theme or your favourite colours! Then, make them one-of-a-kind by adding your wedding day hashtag or thematic clip art! 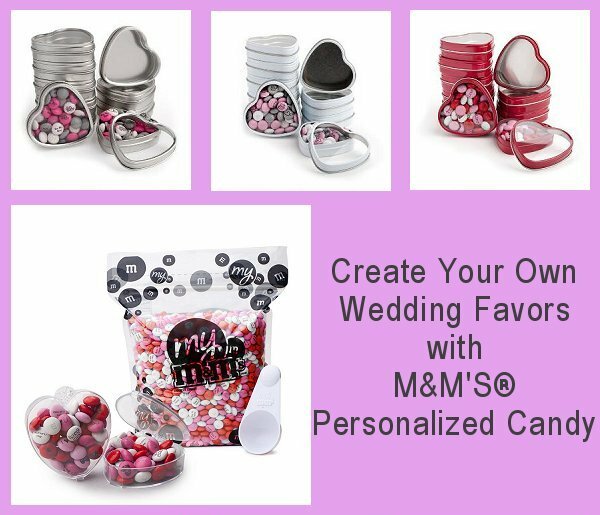 These personalized wedding favors are sure to become the talk of the season when you add a photo of you and your love to these M&M'S®. 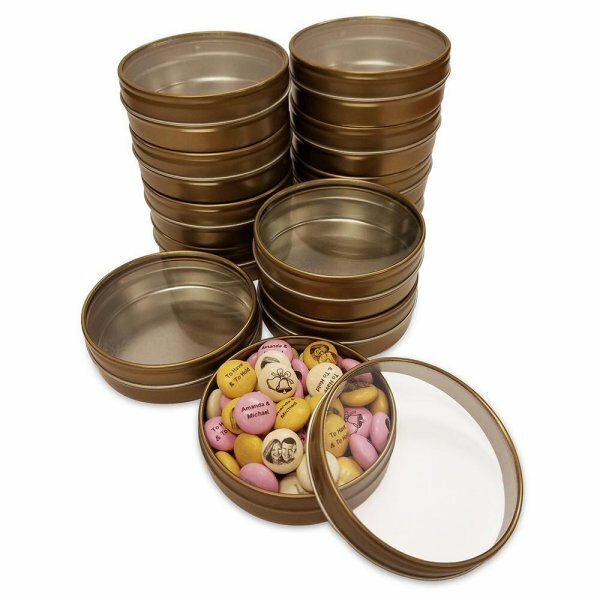 For the best in edible wedding favours - here are our favourites! 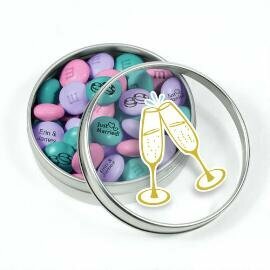 The champagne flute tins are pre-filled with a 1.5oz serving of personalized chocolate M&M. 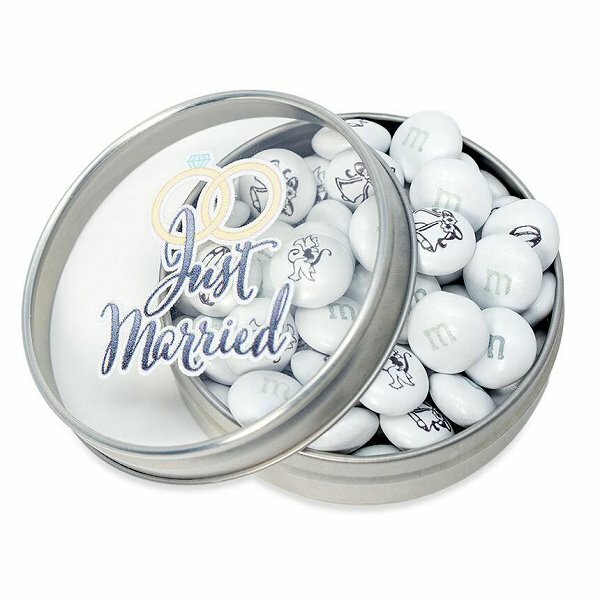 Each pack is filled with a 0.75oz serving of customized M&M'S featuring our Wedding blend with ceremonial clip-art on pearl chocolate candies. 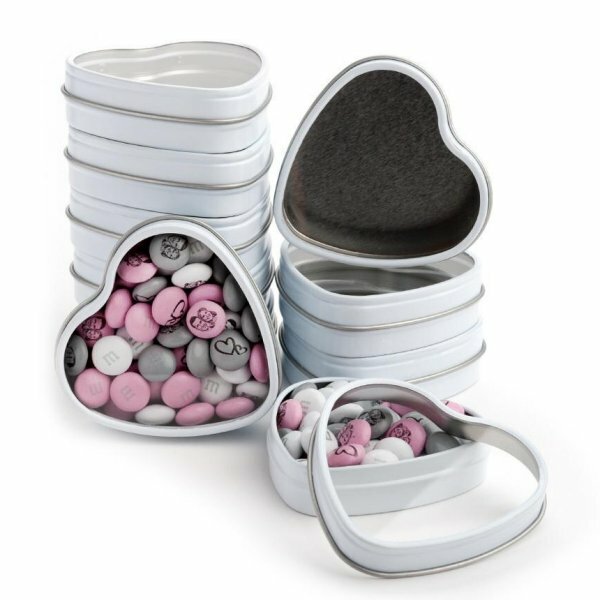 These stylish DIY silver favour tins feature removable clear tops and personalized M&M. 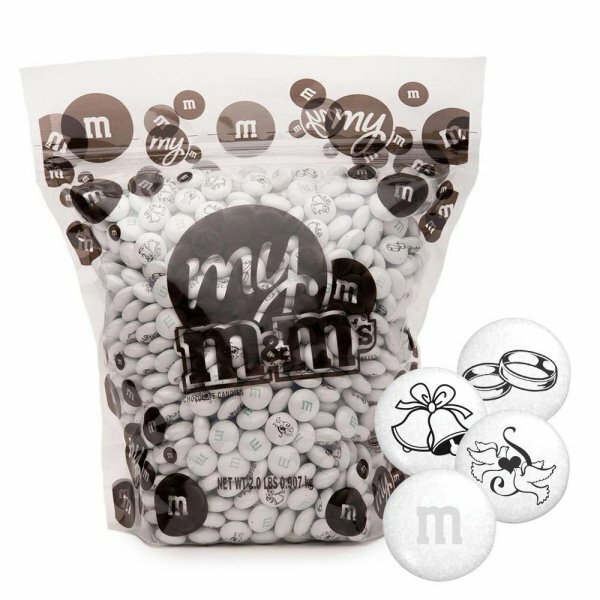 Each elegant white bag features two heart-shaped cutouts to showcase your custom M&M’S blend. 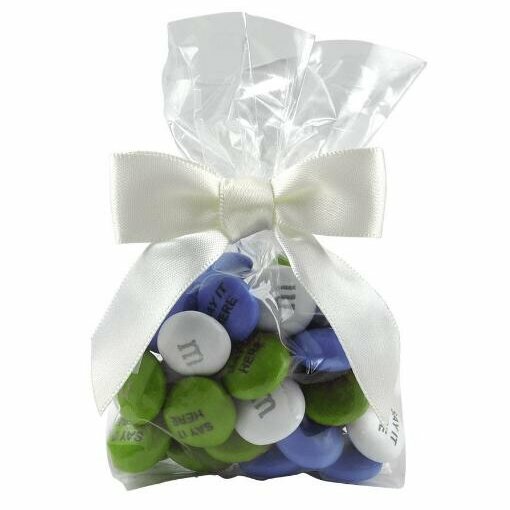 Sylish favour bags decorated with personalized colour ribbon and chocolate M&M. 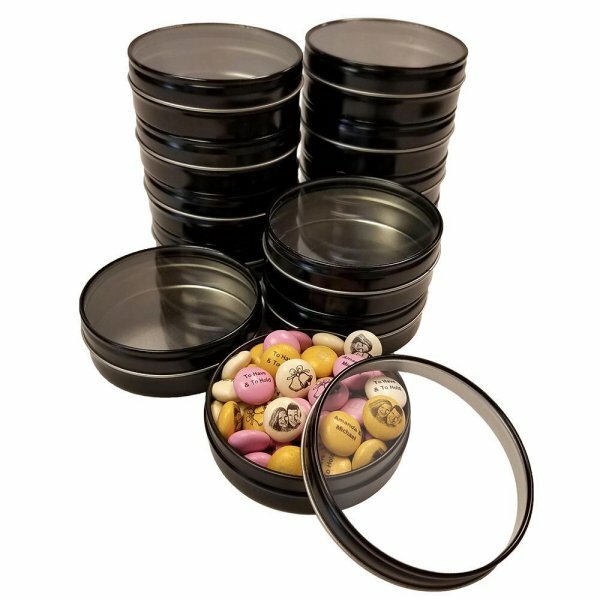 M&M’S® wedding favour tins are a unique gift to top off the big day. 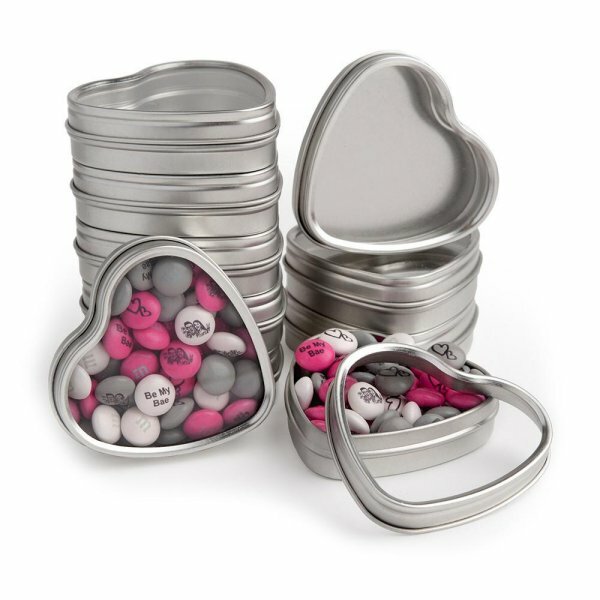 The clear lid announces Just Married and the tins are filled with personalized M&M’S® candies that tell your love story. 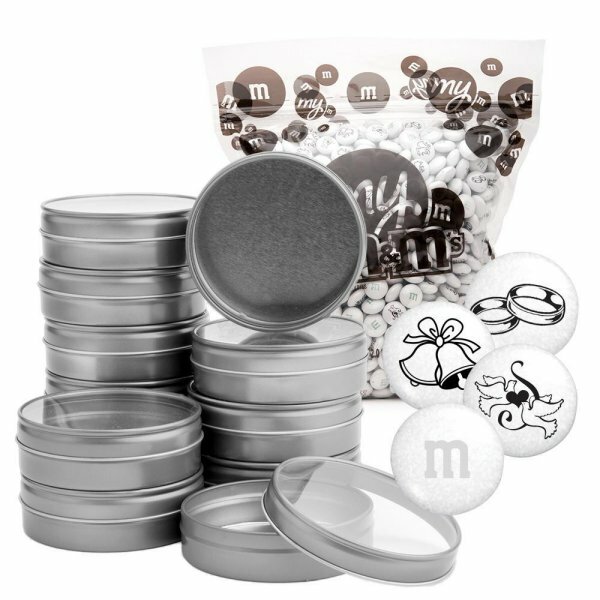 Share your personalized creation in style with M&M’S® candy tins, perfect for celebrations of all styles and stripes. Make it special by adding names, faces, slogans, and images, and customize it all in your favorite colours! 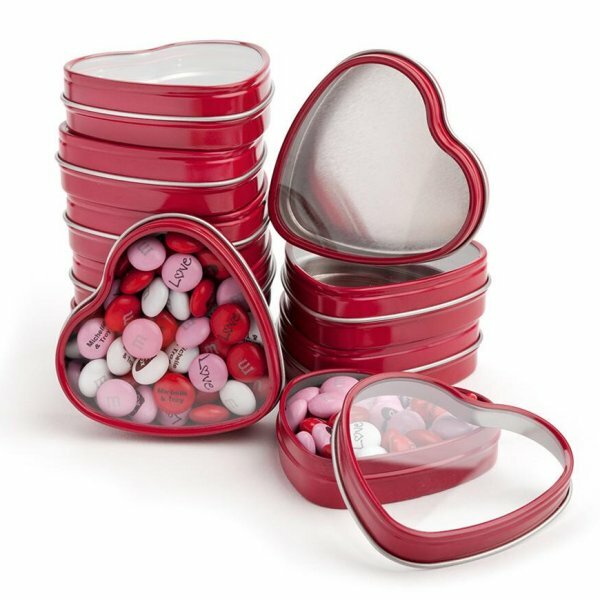 These elegant red tins are shaped like a heart and feature a clear peekaboo window on the front, allowing you to see a stash of personalized M&M’S candies inside. 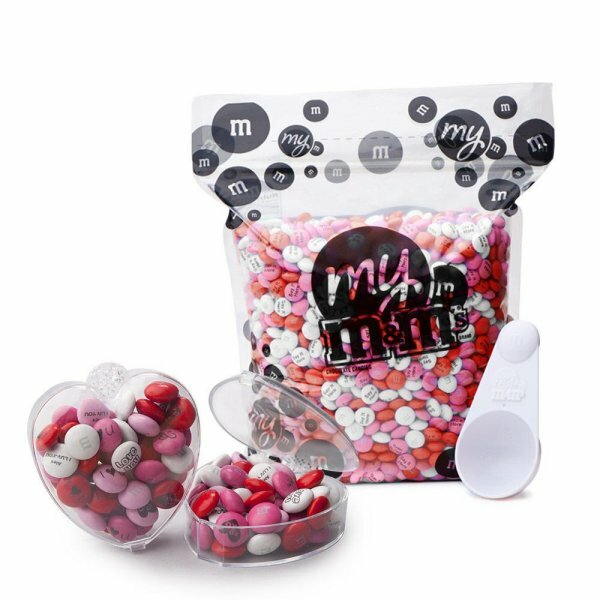 Each clear acrylic heart contains a serving of deliciously lovely personalized M&M’S; your DIY kit comes with 16 heart-shaped party favors and a 2-lb bag of M&M’S. 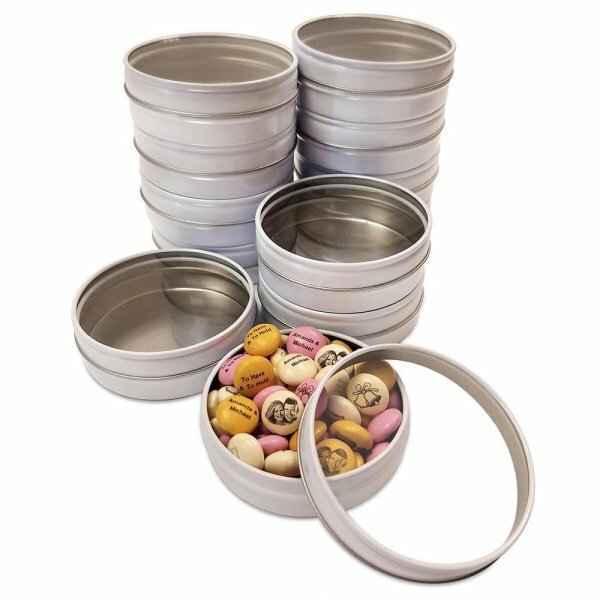 Wedding bells are in the air with the DIY silver tin kit and wedding blend M&M'S. The DIY kit is the perfect way to end your celebration. Perfect for anniversaries, birthdays, weddings, business events, or any festivity. 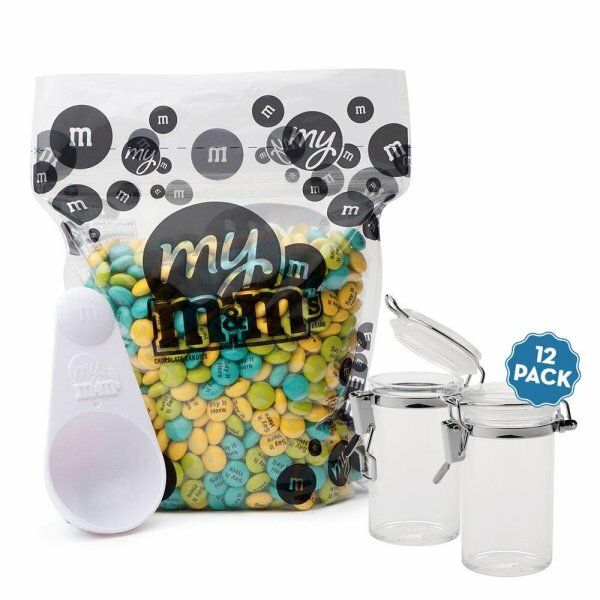 Includes a 2lb bag of personalized M&M'S chocolate candies. 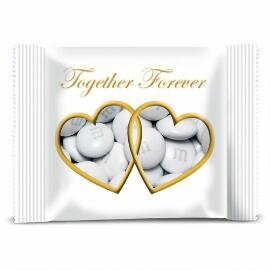 Celebrate the special day with the Wedding customized M&M'S®. 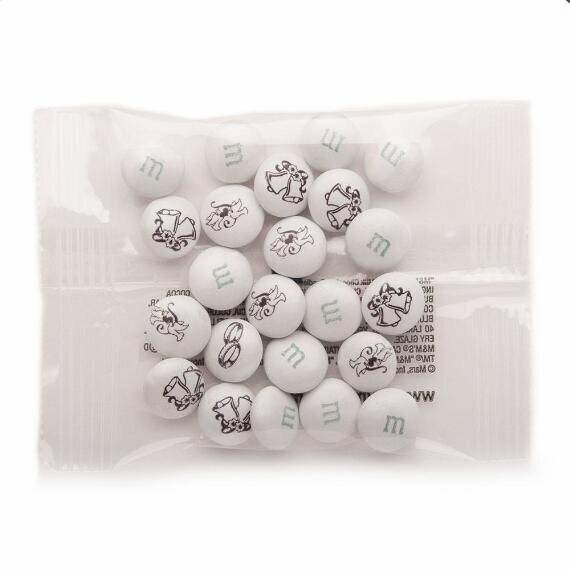 With ceremonial clip-art on pearl candies, this 2lb bag makes a great gift to share the memorable moment.